There are many new factors that make driving more dangerous than it used to be. For one, there are simply many more drivers on the road. There are also more distractions than ever before, such as advanced in-car entertainment systems, smart phones, texting and video chat. Many teens who attempt to multi-task while driving end up getting into accidents. The biggest threat to safety on the road has unfortunately been around a while. 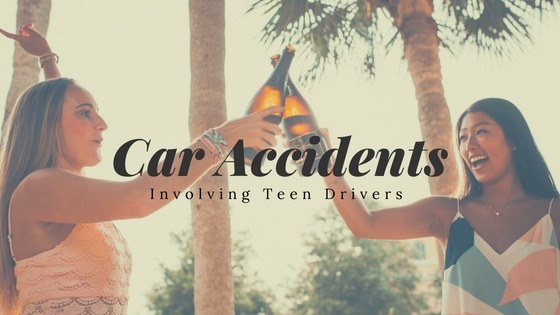 On a positive note, the CDC has found that the number of teens willing to get behind the wheel while drunk has dropped, which means the campaigns to spread awareness about the dangers of drinking and driving are working. However, teens are still driving drunk as often as 2.4 million times each month, and they often put others at risk. According to data from the CDC, car accidents are the leading cause of death for teens in the United States. In 2015, it was found that 2,333 American teens were killed in car wrecks, and an additional 235,845 were taken to the emergency room for injuries. Teen drivers are three times as likely to get into a fatal crash as more experienced drivers. These risks multiply if alcohol is involved. Society is never going to be perfect, and teenagers are always going to rebel against authority in some way, but a little parental involvement goes a long way. Research has shown that when parents are heavily involved in the teaching process, new drivers make more of an effort to drive carefully. It’s not enough to assume that teens know drinking and driving is wrong. They need to hear it from their parents. Having them sign a contract promising to never get behind the wheel intoxicated. Aligning with other parents to ensure no alcohol is allowed at any teenage gatherings. Creating an emergency plan that will allow your teen to call for a ride while intoxicated. Keeping liquor out of your home or storing it in a locked cabinet. You can be the best parent on Earth, and your teen can be well-behaved, but unfortunately you can’t stop other human beings from making terrible choices. All it takes is one bad decision, like a teen accepting a ride from a drunk friend, resulting in severe injuries and the possibility that everything you know and love can be lost in a second. No parent likes to think about such a devastating scenario, but it happens. If it’s happened to you, it’s important to know you’re not alone and that a car accident attorney can help you recover economic losses as well. If you suspect that your loss is due to the negligent or criminal activities of another driver, then your first step is contacting a McKinney car accident lawyer immediately. The sooner you act, the more likely it is that your attorney can find evidence and establish fault. If another party is to blame, then that party is liable for the often tremendous medical costs and other damages. However, waiting too long to make a move will make it less likely that you’ll win your case. It can be difficult to worry about legal issues during such a tough time, but getting things started immediately will benefit your family in the long run. If you’re the parent of a teen driver who was injured or killed due to another driver’s poor decisions, please contact us today. Our compassionate team of experienced legal professionals is waiting to hear from you. Call our law offices today at any of our convenient locations and get a free consultation.